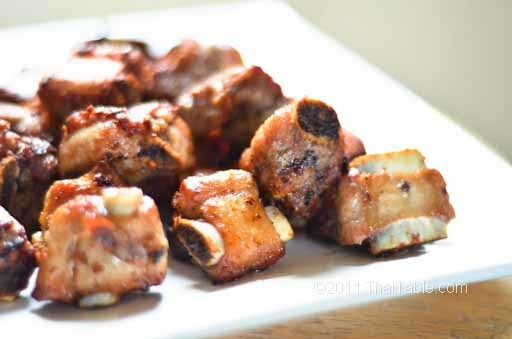 Garlic Pepper Ribs are a comfort food that takes me back to my childhood. It's a dish that my mother made quite often. 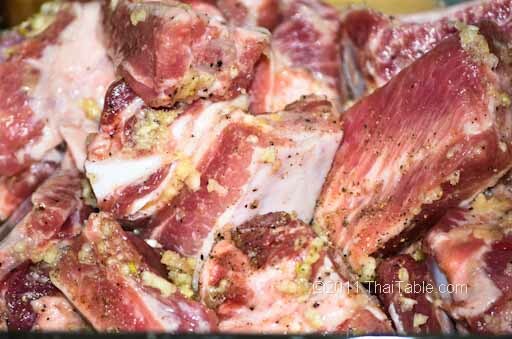 When there are so many hot dishes on the table, adults often rely on garlic pepper ribs to feed kids. However, it's not just for kids; I still love it. With just ribs and a few common ingredients, you can make this simple dish. Even the pan drippings taste great mixed with steamy rice. To scale up or down, the most important adjustment is salt. The ratio of pork ribs to salt is one 1 pound of ribs to 1 teaspoon of salt. 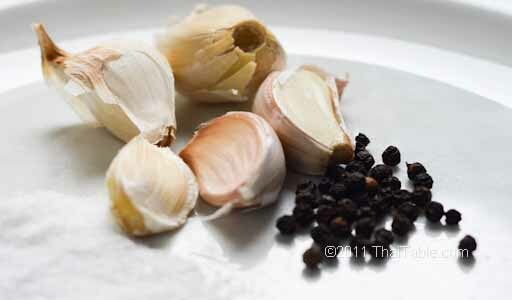 Garlic and pepper ratio is not very important. If you like spicy ribs add more garlic and pepper. When picking the ribs for this recipe, either baby back ribs or spareribs work well. My personal preference is baby back ribs because they are meatier. Pork ribs come in foam trays as well as vacuum packed bags. If you get the ribs from Asian markets, they are in the case along with other meats. Ask the butcher to cut them small, 1 – 1 ½ inch strips. Then you can cut the chains of ribs into individual pieces. 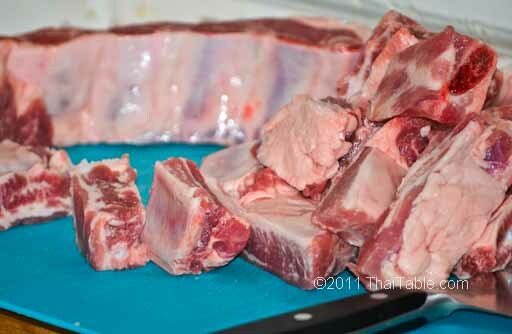 When you cut the ribs, put the white part up so that you can easily see the bones. Cut between the bones. Mix all the ingredients together. Let it sit for 5 minutes, so the salt can dissolve. Add frying oil into a pan. Fry the ribs over medium heat. Flip to brown all sides. 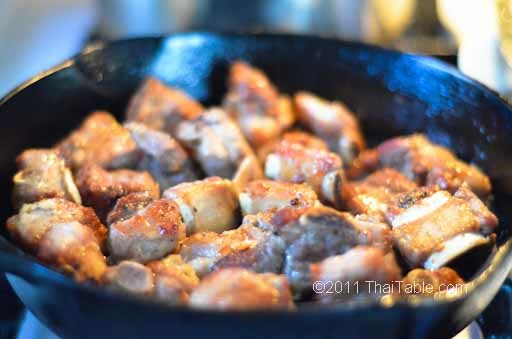 Fry until the meat is brown and the bone protrudes, about 15-20 minutes. 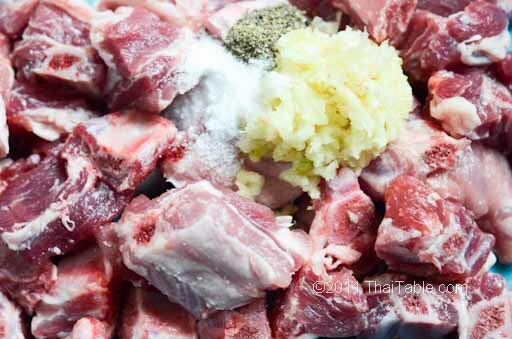 Serve garlic pepper ribs with rice. The ribs are best eaten with your hands.